I’ve been using an RM Italy KL-400 linear amplifier on HF for a couple of years to boost the reach of my Yaesu FT-917ND. 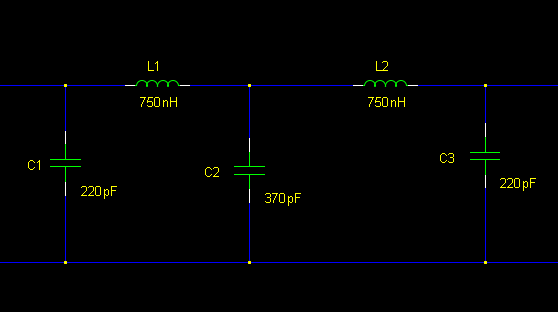 There are quite a few modifications and considerations that are needed to use these linears on HF. I see these linears as a ‘component’ rather than a ‘product’. 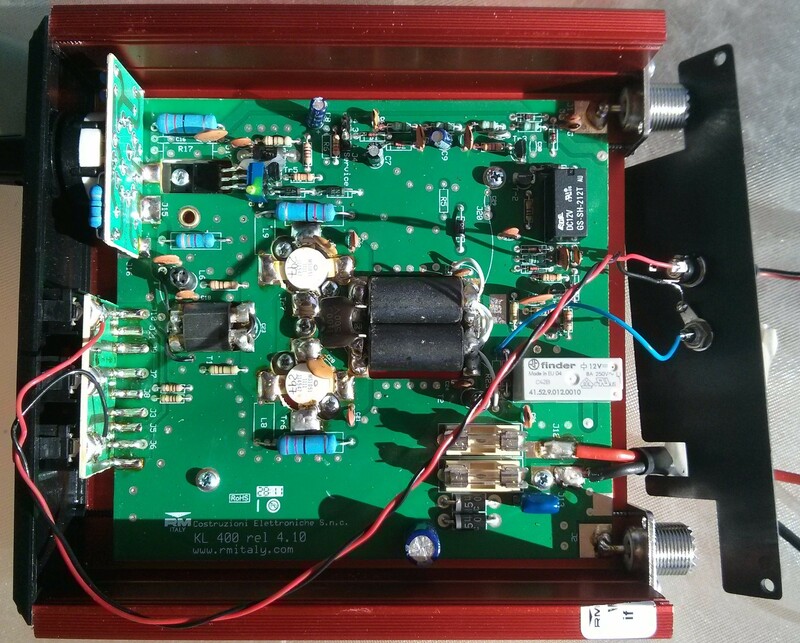 Whilst the manufacturer’s web page says 400W and 3-30MHz, in reality it’s a 14-30MHz 150W amplifier. You must add a fan in all circumstances and also add external low pass filter(s) to use on anything other than 10m & 11m. 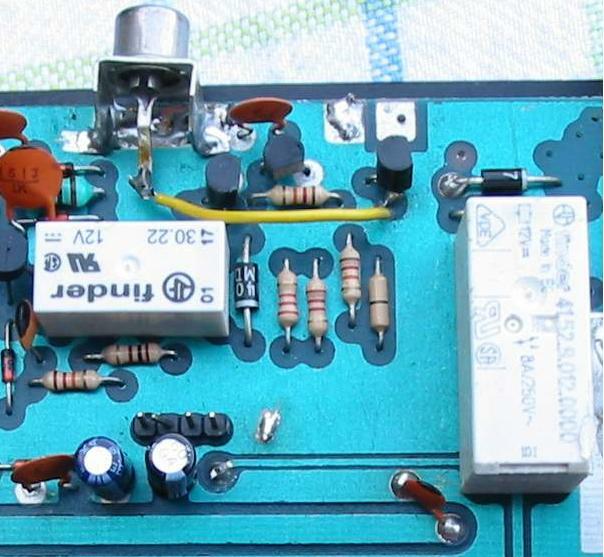 It’s an inexpensive way to go QRO from an FT-817. Whilst I see that RM Italy appears to have discontinued this particular model, they are still selling similar models. Also I note that they have introduced quite a few new models which are very similar to the KL-400, but they have fans bolted on to the top of the heatsink, no surprise in that development! If you are considering buying or already have one of these RM Italy linears, I expect you could apply the same principles to your own device, even though the model number might be different. 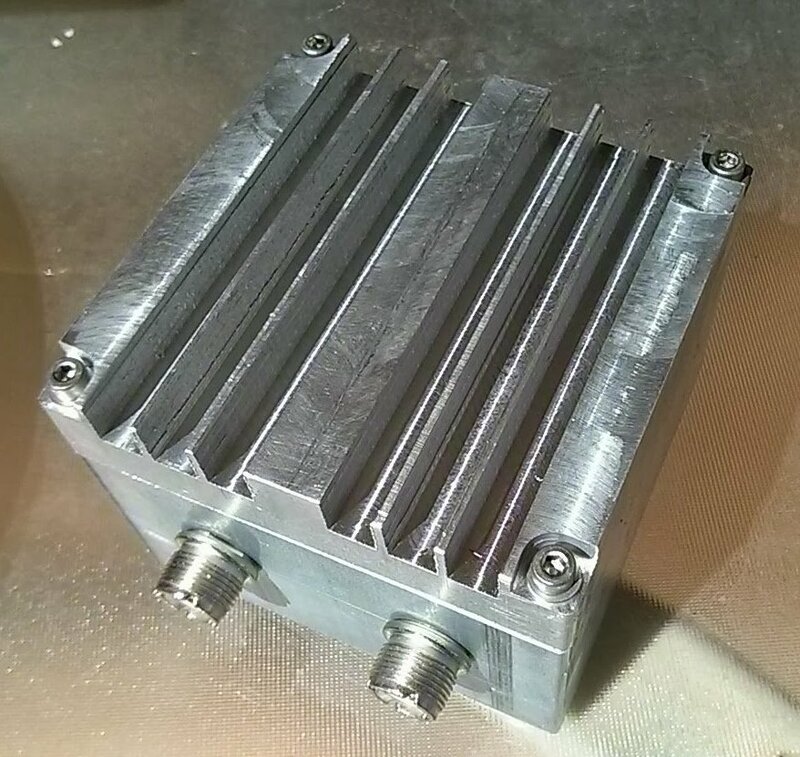 Here’s my 20m low-pass filter enclosure – hewn from solid 100x100mm extruded 6000 series alloy bar stock. At 1.3kg it weighs more than the radio, I believe. Here’s the linear with some new wiring for the PTT input. While I was about it I also added a 12V output that’s switched with the linear to make a neat fan connection.